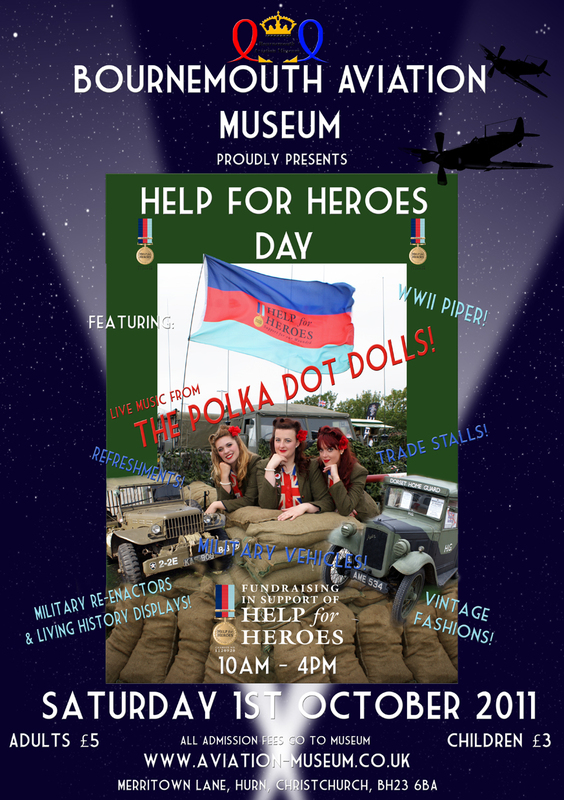 The Aviation Museum in Bournemouth is having a 1940’s style Help for Heroes Day on 1st October between 10am and 4pm. The Aviation museum is located immediately next to Adventure Wonderland at Hurn opposite the airport. The day will be a great chance to get nostalgic helped along by the live WW2 music from the gorgeous harmony singers the Polka Dot Dolls and “voice in a million” nostalgic soprano Fiona Harrison. This is such a great cause and the day will be fantastic. Vintage Dorset has sent over our original war years flags for the show – see if you can see the old union jacks! Dorset County Museum is a gorgeous place. Its packed full of so much vintage and historical charm that you have to pinch yourself every now and again just to remember that you’re in Dorchester and not in a fairy story. Today we’ve been there (along with what seemed thousands of children) to take photographs for the press for our Valentine’s Fayre – but we also caught a sneak glance through the doors at the installation of the Georgian Faces exhibition which is due to start on Saturday and is promising to be absolutely divine. The exhibition brings together an impressive gallery of paintings from the Georgian period showing the people who lived in Dorset and influenced it during the 18th Century. This is a sophisticated and internationally important exhibition of artworks including works by Sir Joshua Reynolds, George Romney, Thomas Gainsborough and Allan Ramsay. Three of the painters featured in the exhibition, Sir James Thornhill, Giles Hussey and Thomas Beach were all born in Dorset. Many of the paintings have rarely been exhibited before and all are of an exceptional quality. The National Portrait Gallery will be running a day school at the museum looking at 18th Century Portraiture and the curation of Georgian Faces: Portrait of a County. The speakers for the day are all highly distinguished in their field and include Susan Sloman, the Gainsborough specialist, who rarely gives lectures. 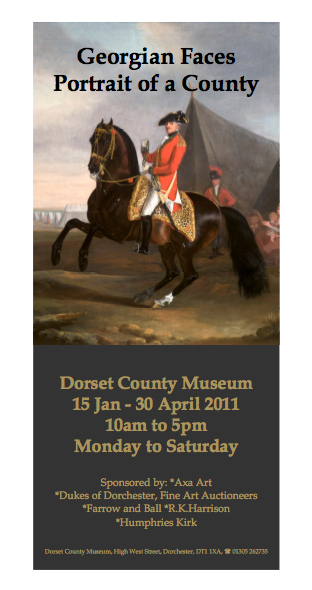 Tickets for this day school are £40 and are available from Dorset County Museum or from the Portrait Specialist Network website.